18+. New customers only. Minimum €10 deposit required. Deposits made with Neteller or Skrill do not qualify for the promotion. Bonus amount must be wagered 35x within 30 days. The maximum stake allowed when having an active bonus is €6. T&Cs apply. 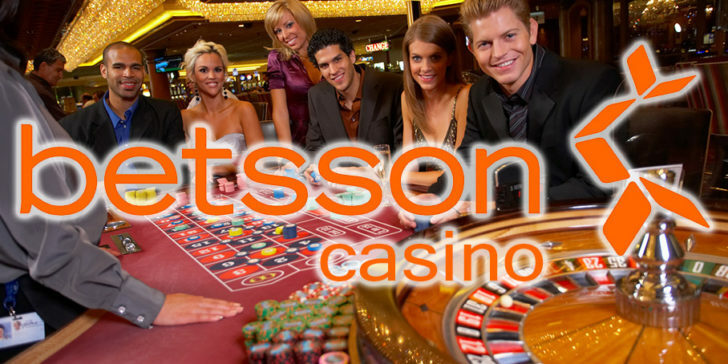 Betsson Casino is powered by Net Entertainment software and offers a decent selection of casino games including popular table games, online slot machines, various video poker machines and other miscellaneous games. Betsson Casino even offers 18 different Progressive Jackpot games with prizes that keep growing until one lucky player wins! The progressive games include slots, card and table games. The software also offers special mini games that can be opened in a small window and played while working or surfing the net. 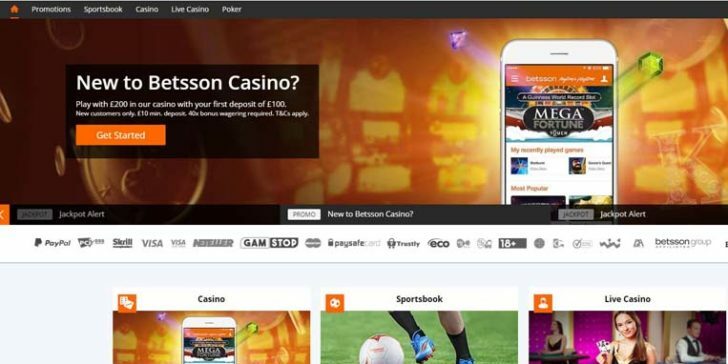 Betsson Casino has an interesting loyalty program that automatically enrolls new players. Every time one plays for real money, they will be rewarded with VIP points. These points can be later turned into casino credits. The casino also offers a great selection of daily tournaments, covering all game types from slots to blackjack and Texas Hold Em poker. Betsson Casino is part of a respected Scandinavian sportsbook known around the world for its competitive odds and excellent event coverage. There are customized promotions for some countries, for instance if you are a player from Germany you can choose between several very lucrative welcome packages, all the way up to €150 and 25 bonus spins! Players from the UK receive 100% up to £100 welcome bonus. Last Chance to Win a Trip to Los Angeles with Betsson Casino! Win Money Every Month in 2018 – SKK 25,000 from Betsson Casino! Betsson Casino Lets You Win Money for Free Every Day! Betsson Casino’s Random Cash Giveaway Offers Kr 1,000,000 and Daily Free Spins! Win Any of The Best Christmas Presents Everyone Needs! Weekly free spins on Starburst thanks to Betsson Casino! Find the Best Loyalty Program and Win EUR 100,000 at Betsson Casino! Join Betsson Casino Tournaments and Get Your Shot at 10,000 Euros!